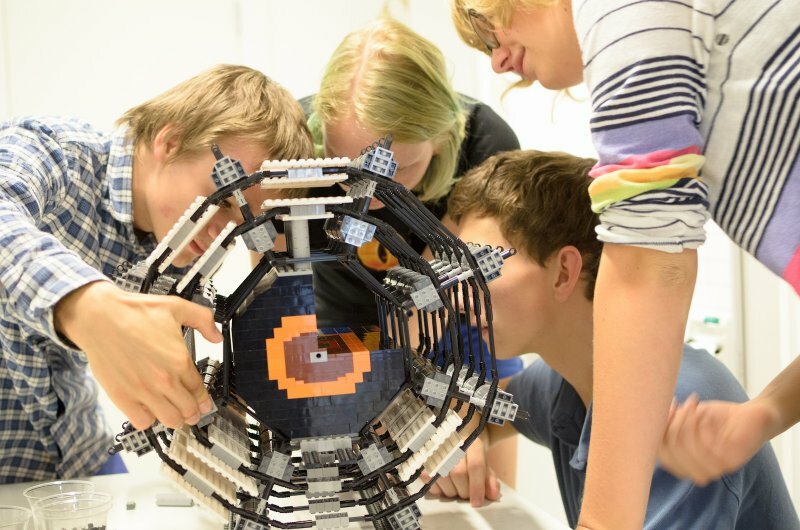 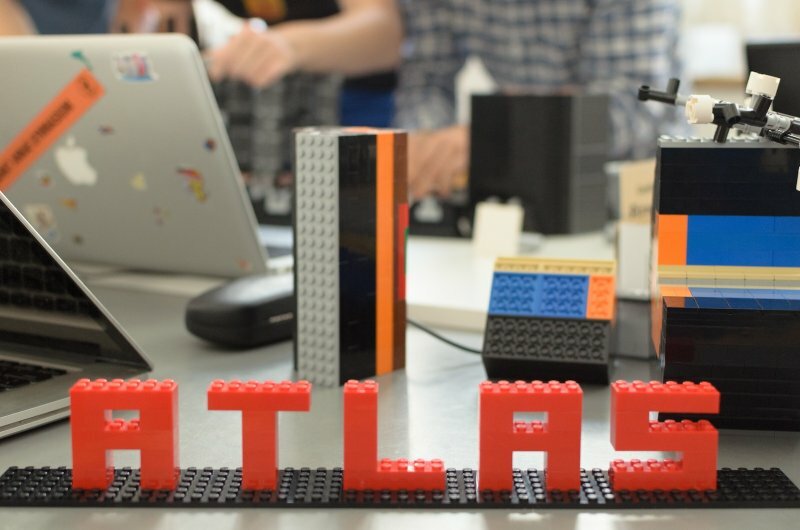 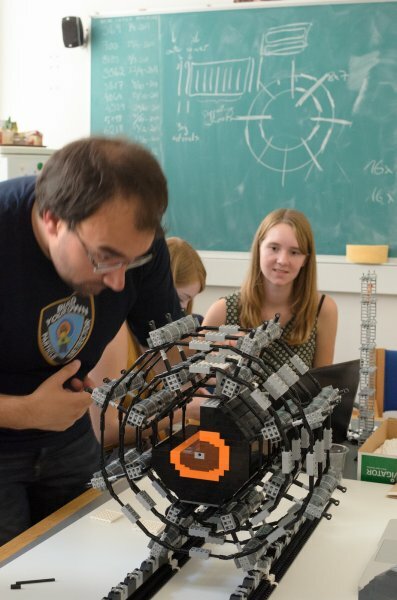 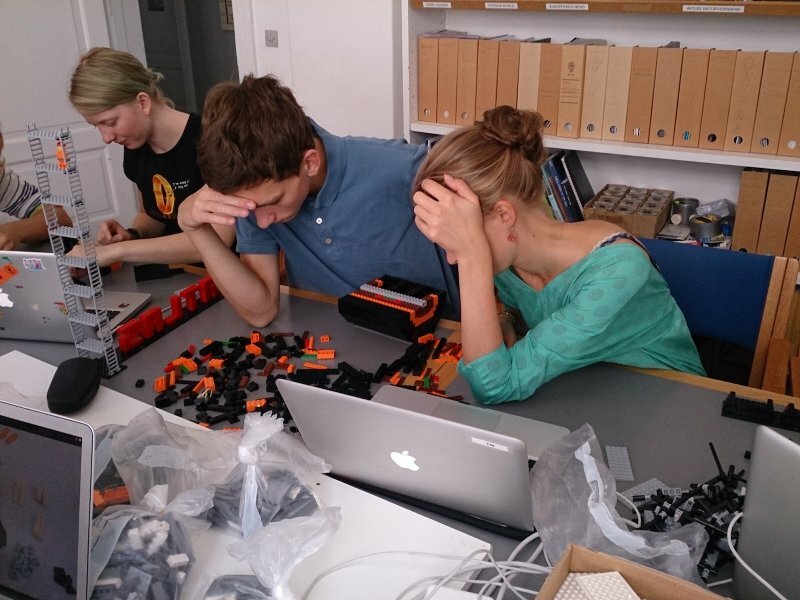 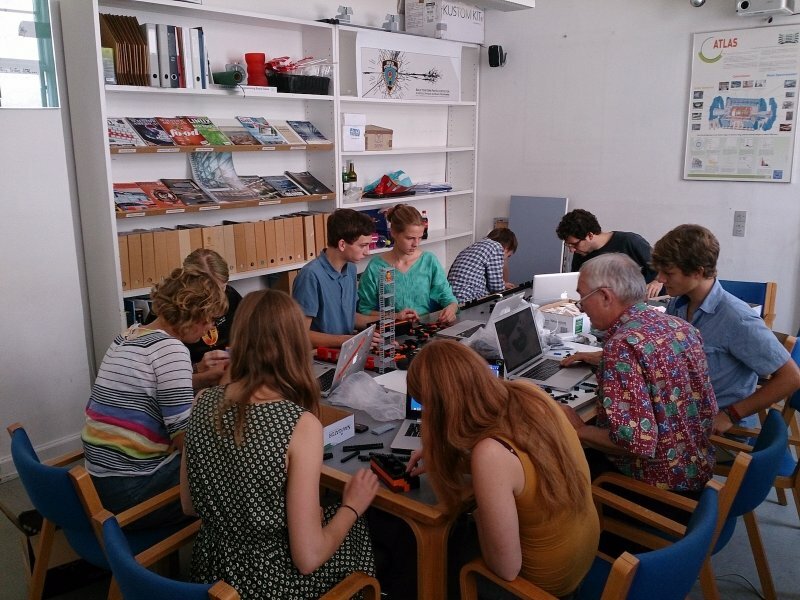 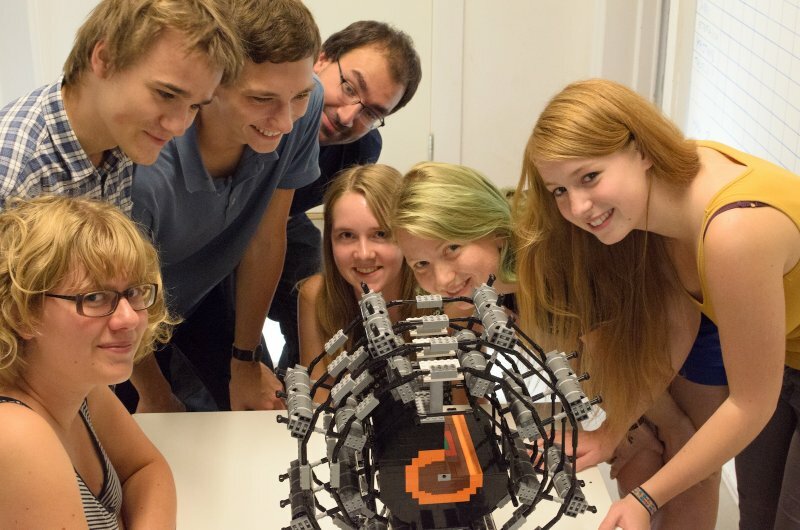 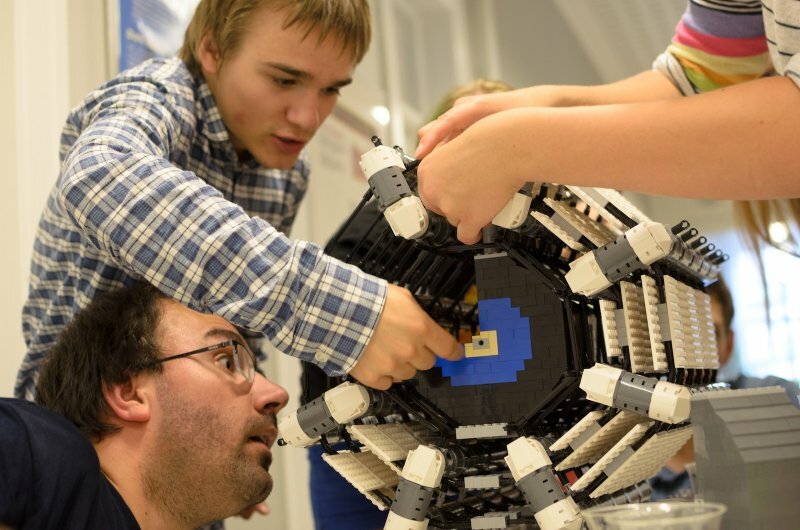 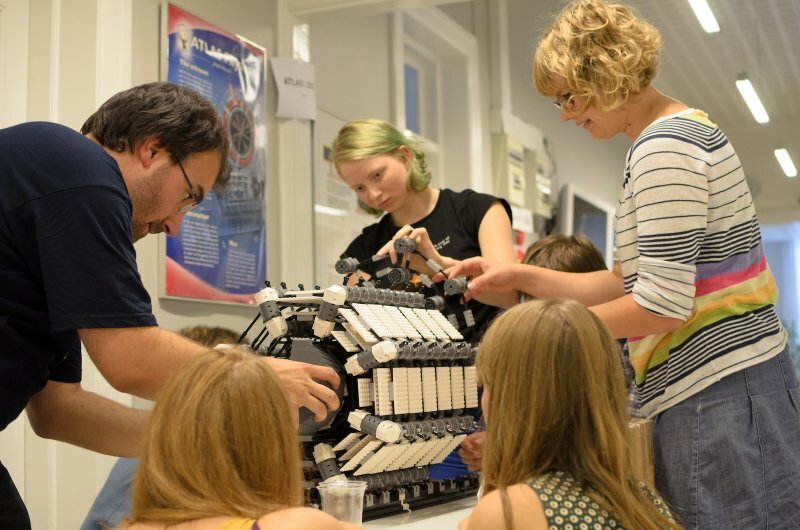 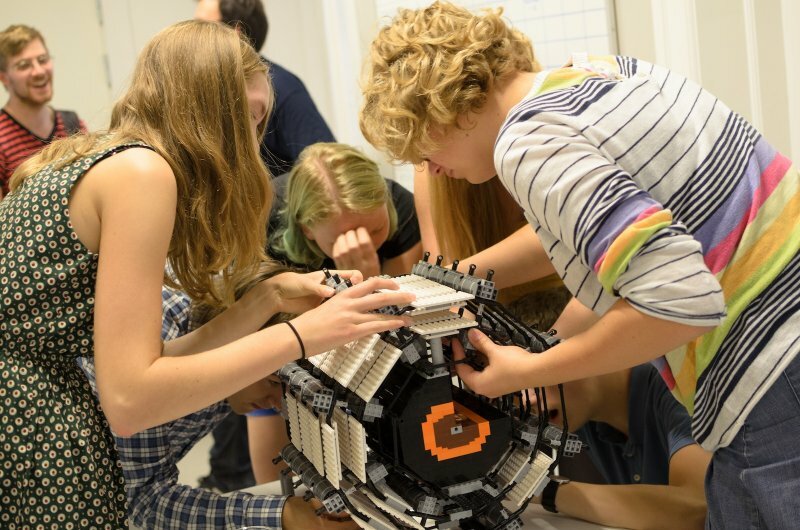 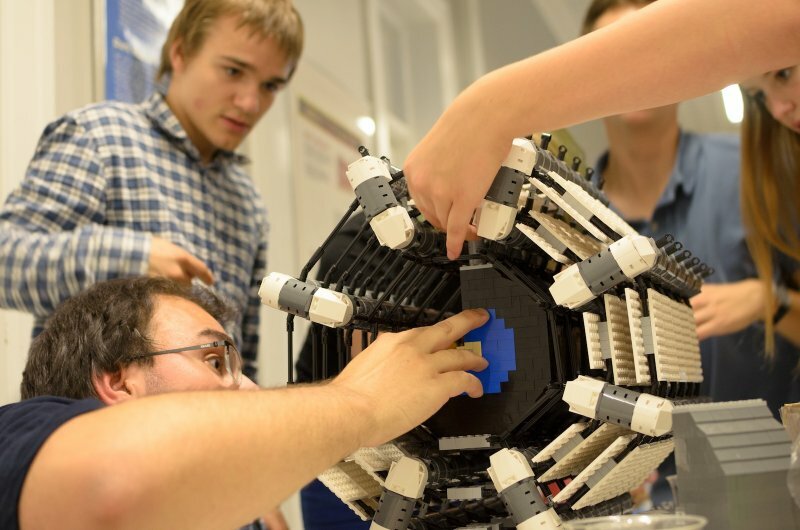 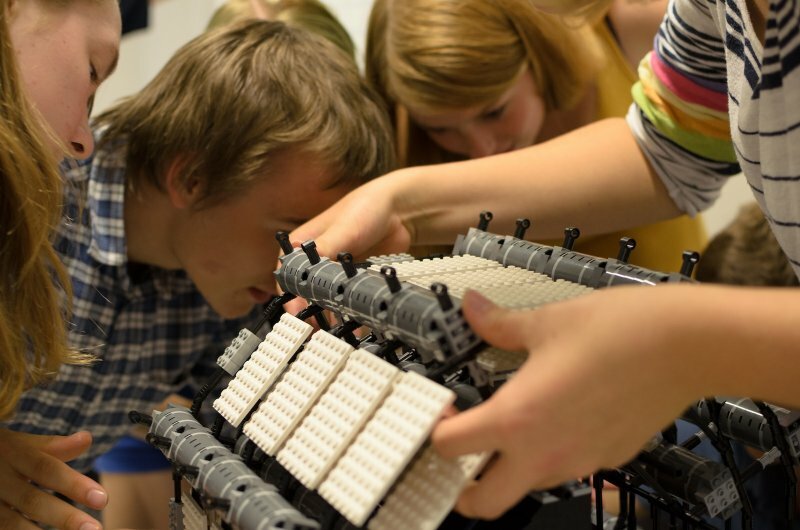 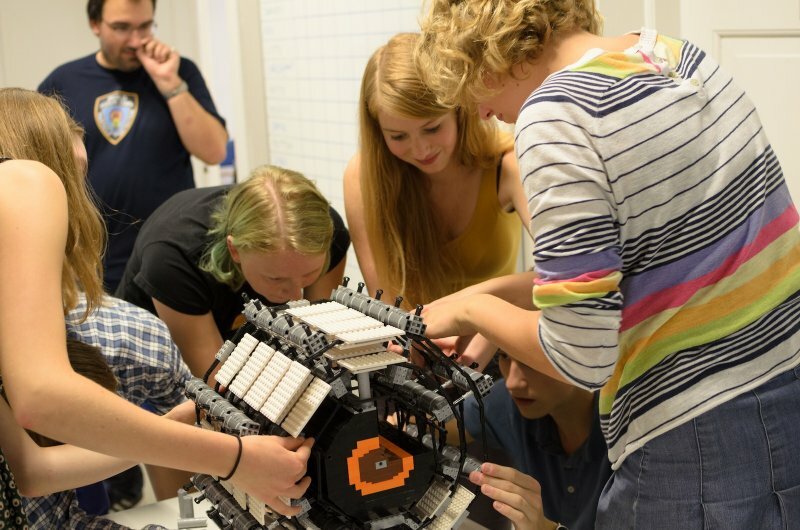 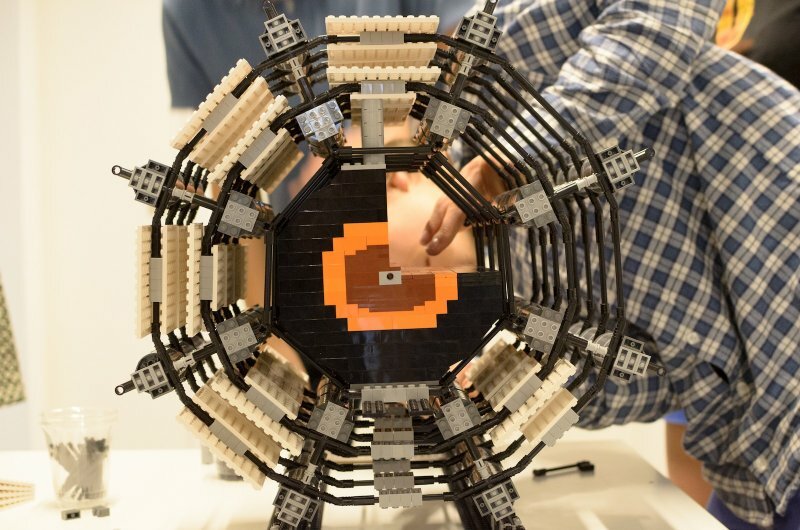 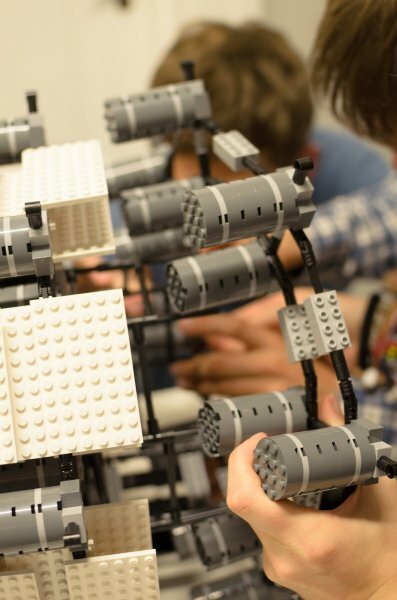 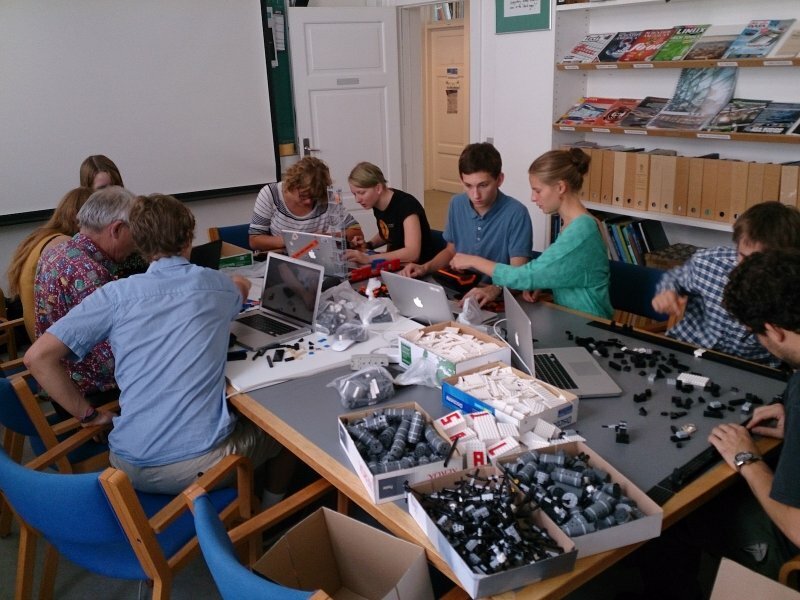 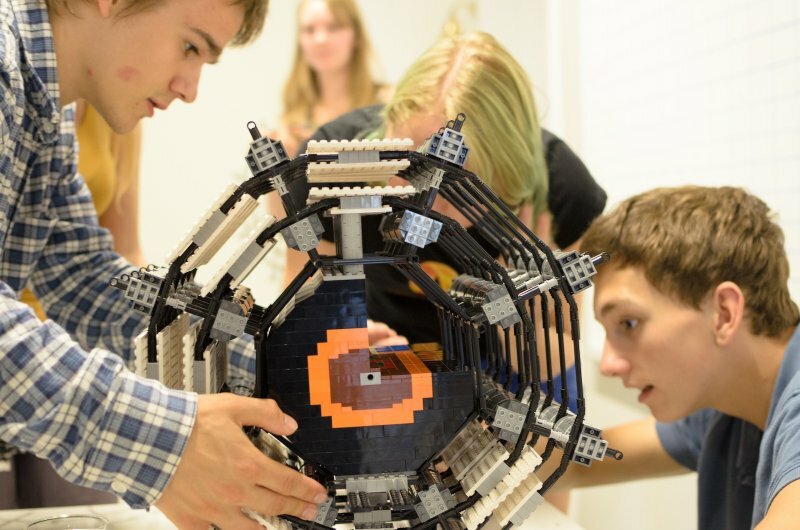 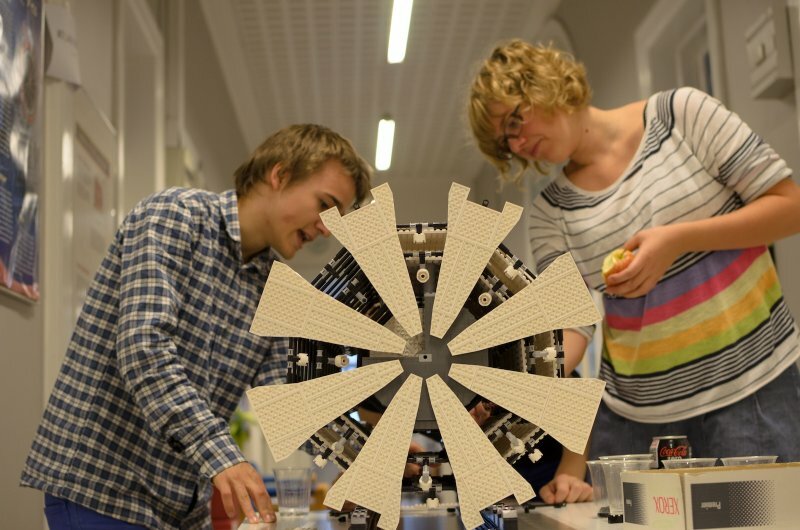 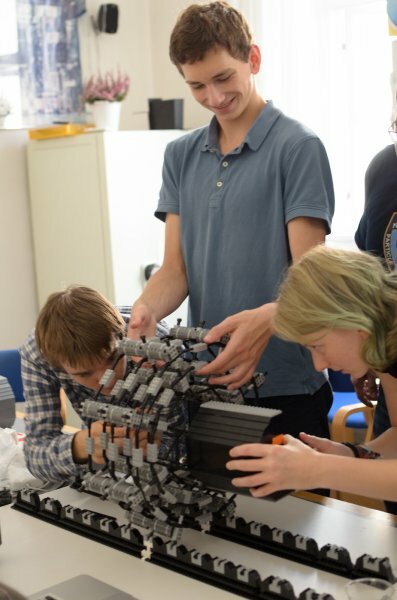 On Saturday, 14 September we had ten high school students from the Sankt Annæ Gymnasium visiting the Niels Bohr Institute to learn a bit (more) about particle physics in general, the ATLAS experiment in particular and to re-build the original Niels Bohr Institute ATLAS LEGO model. 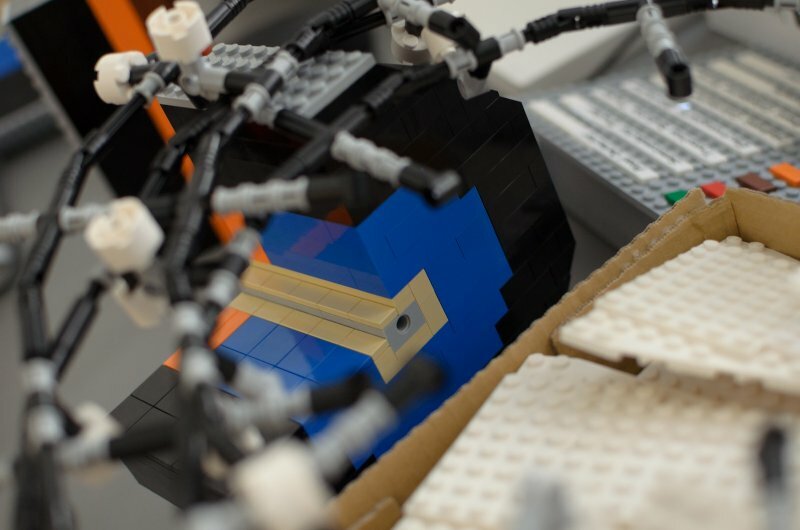 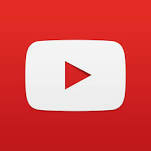 Certainly not an easy task, as the video construction manual was made with the revised, second version of the model. 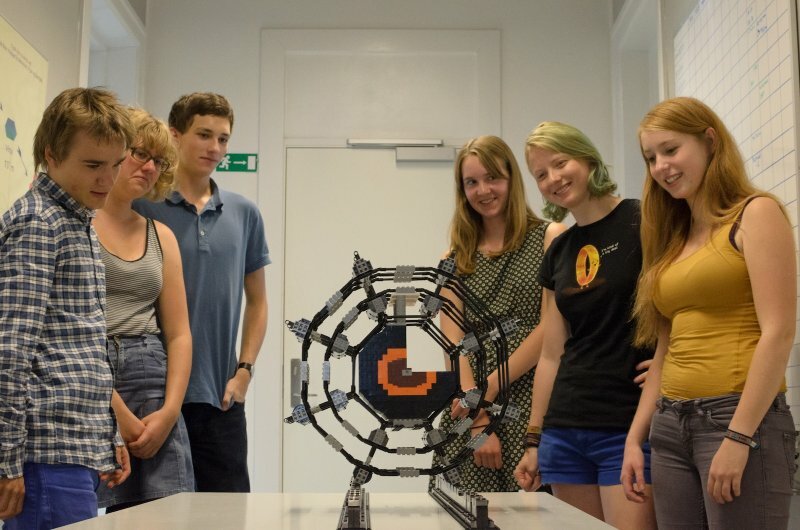 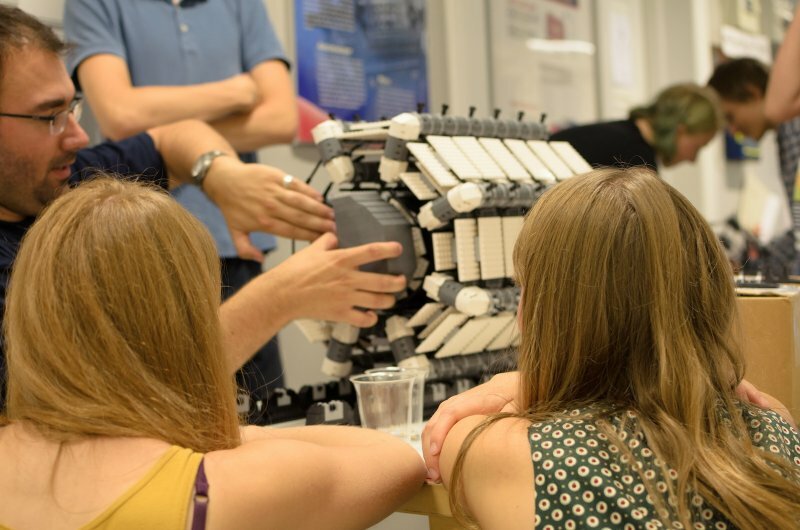 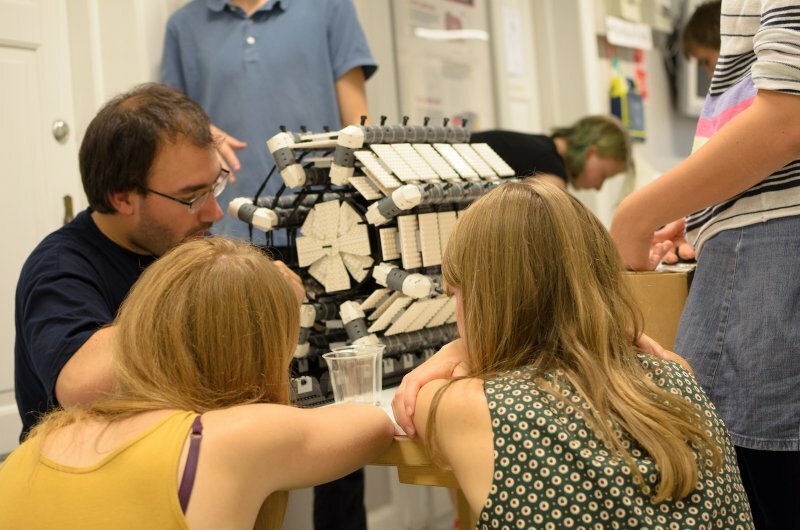 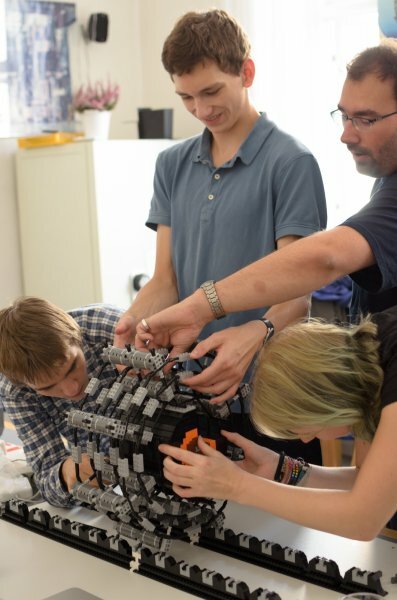 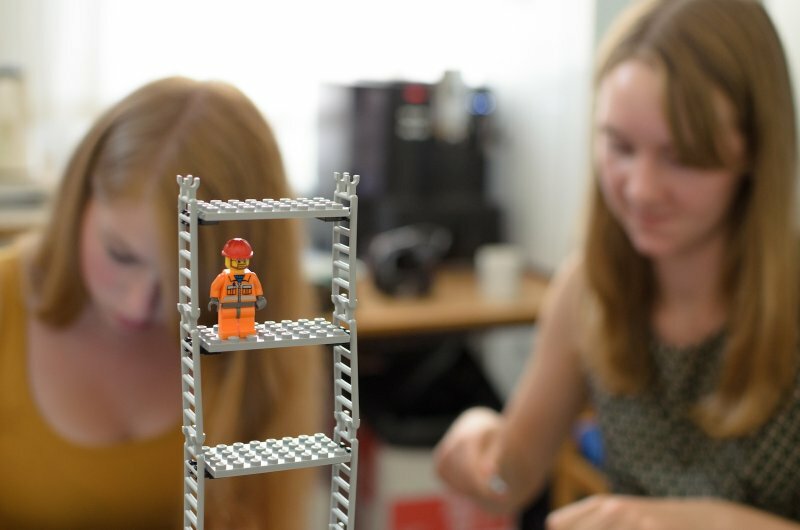 Still, together with three members of the high energy physics group, the students manage to build the model in roughly nine hours (including chats, lunch and some physics). 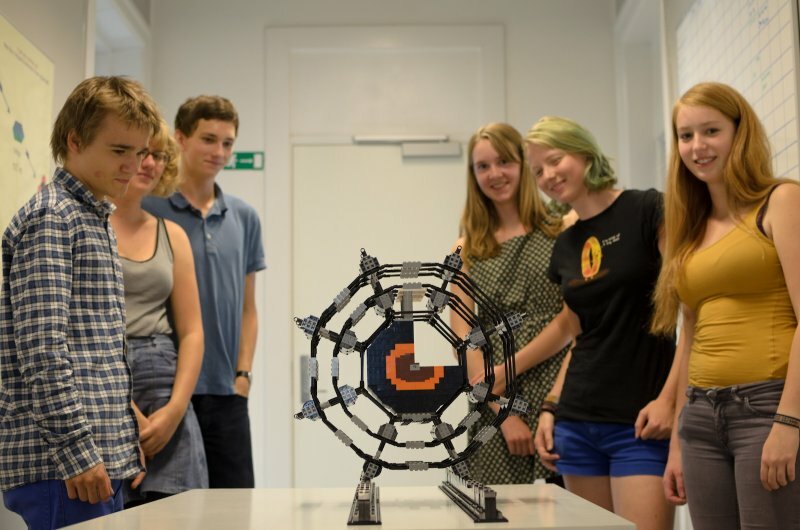 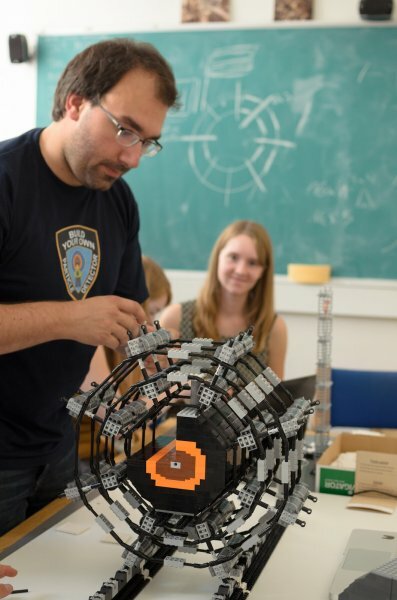 Now that the pieces are back from their trip to Bergen University and the model is rebuild, it will again be on permanent display at the Niels Bohr Institute. 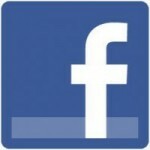 You are welcome to pass by and have a look e.g. 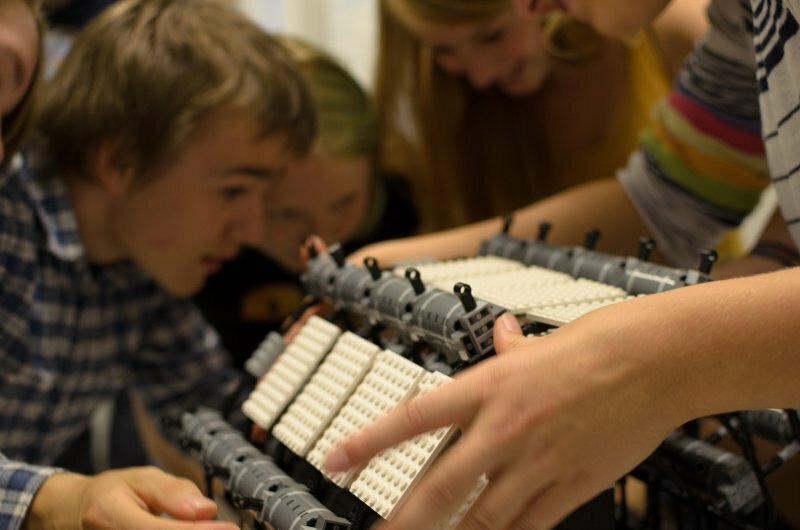 on 11 October, for Kulturnatten 2013. 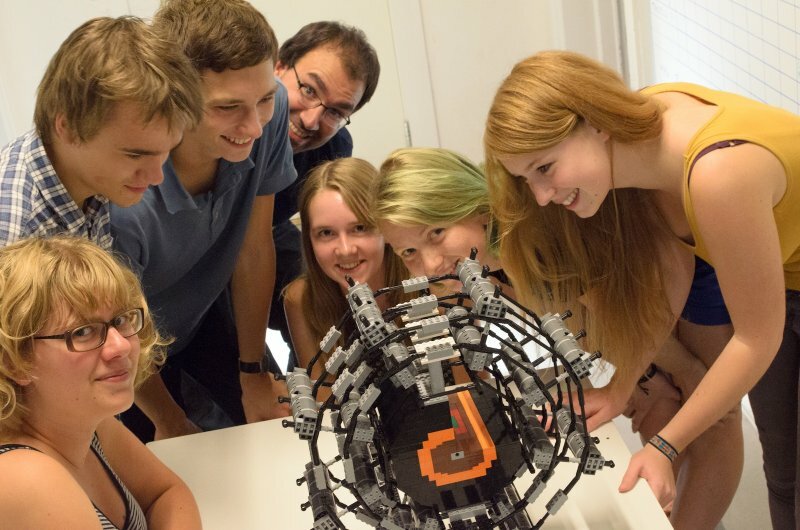 Thanks a lot to all ten students and the kind helpers form the high energy physics group!